Victoria, BC. The Merkin Sisters is a no-holds-barred physical comedy about a strangely hilarious sibling rivalry: two fallen socialites endeavour to create the Ultimate Piece of Art, using any means necessary. 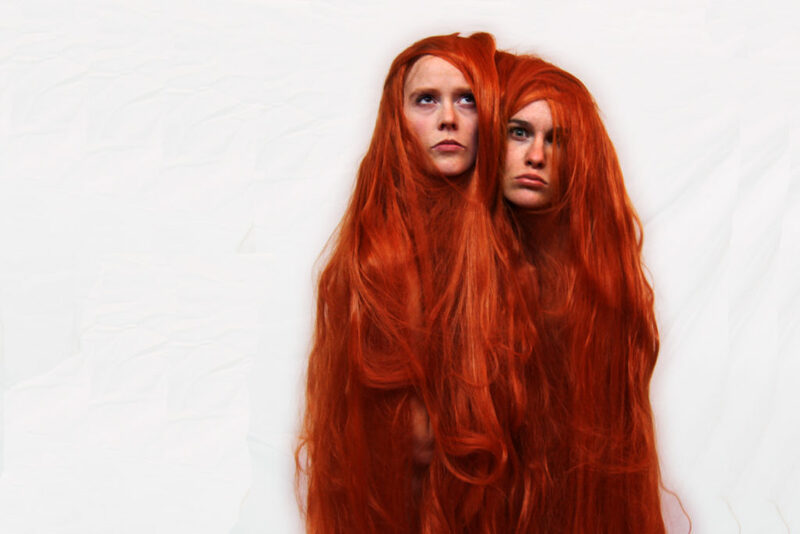 A mash-up of uncensored comedy, theatre, dance and puppetry, The Merkin Sisters may just be the most outrageous show to hit Victoria, coming One-Night-Only to the Metro Studio Theatre on Wednesday December 13th. Hansen is known to Victoria audiences for her work with SNAFU, including cult-hit shows Little Orange Man, Kitt & Jane: An Interactive Survival Guide to the Near-Post-Apocalyptic Future, and, most recently, the sci-fi trip Interstellar Elder about a renegade grandma in space. Morin-Robert is a Victoria Fringe favourite with her sold-out show Bushel and Peck. Touring extensively since 2010, Hansen and Morin-Robert have collectively performed over 400 shows across Canada, Europe, Japan and the United States. Together they have accumulated a wealth of Best-of-Fest, Best Comedy, Best Physical Theatre, Best English Theatre, Best Choreography, Best Clown awards and multiple 5-Star reviews.